Born in 1862 into an exclusive New York society against whose rigid mores she often rebelled, Edith Wharton bridged the literary worlds of two continents and two centuries in her rich and glamorous life. 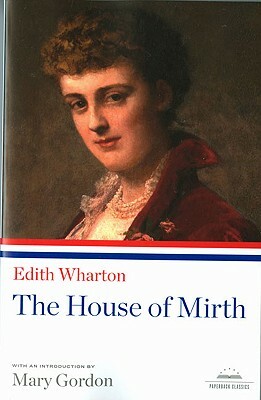 The House of Mirth (1905), her tenth book, is the story of young Lily Bart and her tragic sojourn among the upper class of turn-of-the-century New York, touching upon the insidious effects of social convention and the sexual and financial aggression to which free-spirited women were exposed. "A frivolous society," Wharton wrote, "can acquire dramatic significance only through what its frivolity destroys." Library of America Paperback Classics feature authoritative texts drawn from the acclaimed Library of America series and introduced by today?s most distinguished scholars and writers. Each book features a detailed chronology of the author?s life and career, and essay on the choice of the text, and notes. The contents of this Paperback Classic are drawn from Edith Wharton: Novels, volume number 30 in the Library of America series. It is joined in the series by four companion volumes, gathering novellas, short stories, and other writing by Edith Wharton.